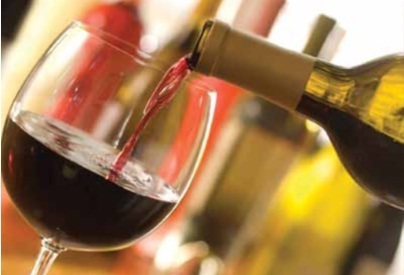 In part two of our Sun Safe Foods Series Dr. Clower is talking wine! Yes, wine (in moderation) can actually help protect your skin from harmful UV rays. Let me just be the bearer of good news here. Wine is good for you. While we’ve already shared reasons why moderate, responsible wine consumption is great for your heart, turns out those same molecules are also beneficial for your skin. This is primarily thanks to a class of polyphenols called proanthocyanidins, antioxidants found in grapes and wine. Like you needed one more reason to have a glass with dinner! The proanthocyanidins protected the skin of lab animals from controlled exposure to UV radiation. Another advantage of the proanthocyanidins is that they increased skin hydration. So, in addition to providing significant photo-protection for melanocyte skin cells from the oxidative stress of UV exposure, they also help prevent the drying, wrinkling, and sagging of skin that happens with continual exposure to the sun. Keep in mind, you’ll still need sunscreen and you shouldn’t be drinking two bottles a day under the assumption that it will protect your skin. In fact, the critical element to the protective effect of the wine has absolutely zero to do with the alcohol, but the polyphenols found in the wine. But, research seems to be showing that glass or two of that red a day can actually improve your skin.